Whether you're a blogger or a small business owner, it's always a good idea to plan ahead. 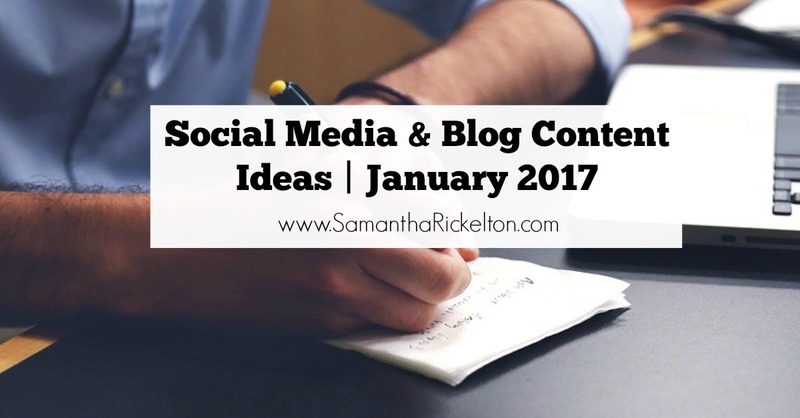 I like to plan key blog posts in advance and this list of events in January is a fantastic base for planning social media and content for your blog or business. It's a nice way to get creative too. Do you rely on local customers/readers? You could ask your Facebook followers where serves the best non-alcoholic cocktail as part of Dry January or how about asking for recommendations for the best Chinese restaurant or recipes in time for Chinese New Year? For more posts like this, follow SamanthaRickelton.com on Facebook here. Great ideas! After this trip, I'm sitting down and planning/writing for a whole weekend to get myself sorted. Thanks for the inspiration! Liking the sound of festival of sleep day! Oh wow 3rd Jan is Festival of Sleep Day?! How ironic that I was back at work and didn't get to sleep much! Ha! Thanks for sharing - will be really useful these dates.